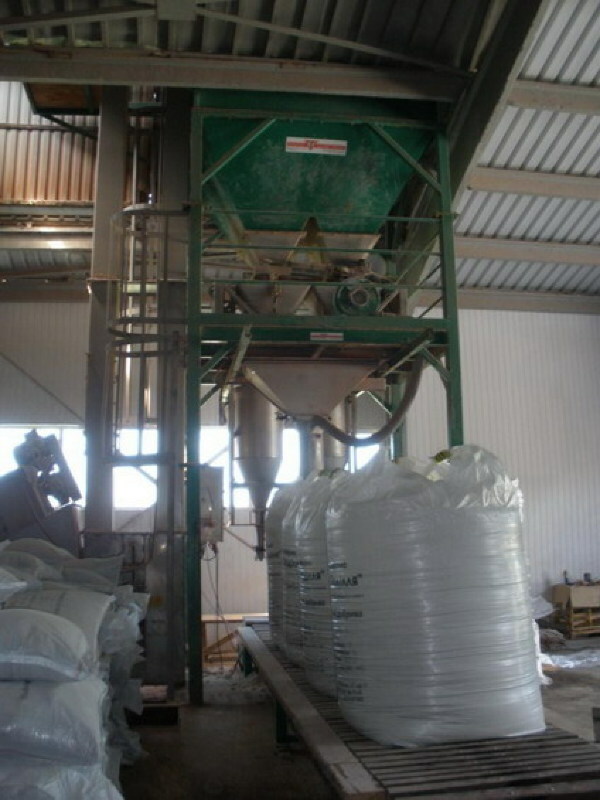 Big bag (jumbo bags) high speed machine, who can also fill 25 – 50 kg bags. The machine construction is the same as the big bag High Speed. Designed to fill big bags and small bags. Automatic bag fill system for big bags from 1000 to 1250 kg and 25 to 50 kg small bags. 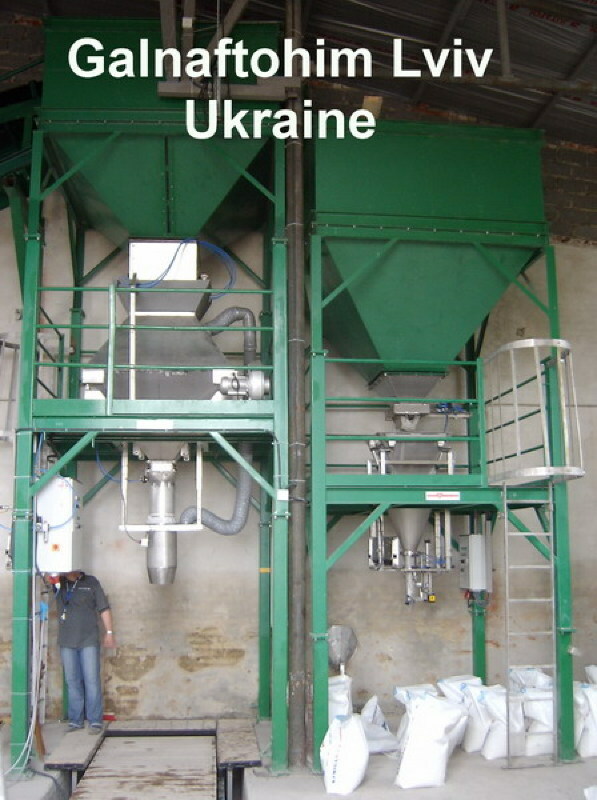 Capacity for small bags is 15 ton per hour (50 kg bags. The FIBC High Speed Big Bag bagging machine can also fill small bags of 25 or 50 kg. The weight system is constructed to ensure there is a weighing accuracy on the digital indicator of 50 grams for the 50 kg. small bags and a 500 grams for the FIBC 500 –1000 kg bags. The unique load cell construction makes this possible. 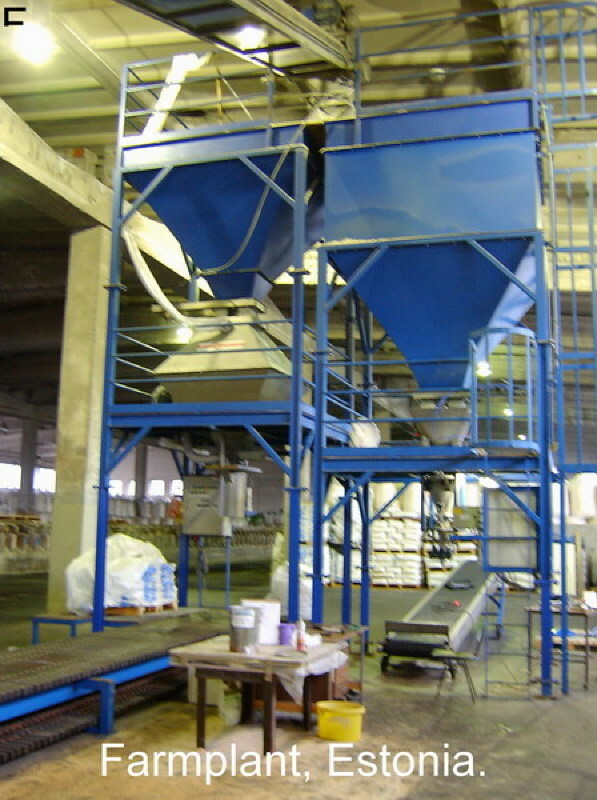 The filling process is the same as the big bag High Speed bagging Line. The product is weighed above the bag in the stainless steel scale. After weighing, the product is flowing down into the big bag by the stainless steel fill pipe. The big bag is standing on the big bag transport conveyor that moves the big bag away from the filling spout. There is a changeable filling pipe for the FIBC big bags and a changeable filling mouth for the 25 – 50 kg small bags. Both filling mouths can be removed and replaced by two men. The electrical system works with connectors, each fill system has his own connector. It is also necessary to move the FIBC bag conveyor and to replace the small bag sewing conveyor and sewing machine. This change can be realized in 5 minutes. 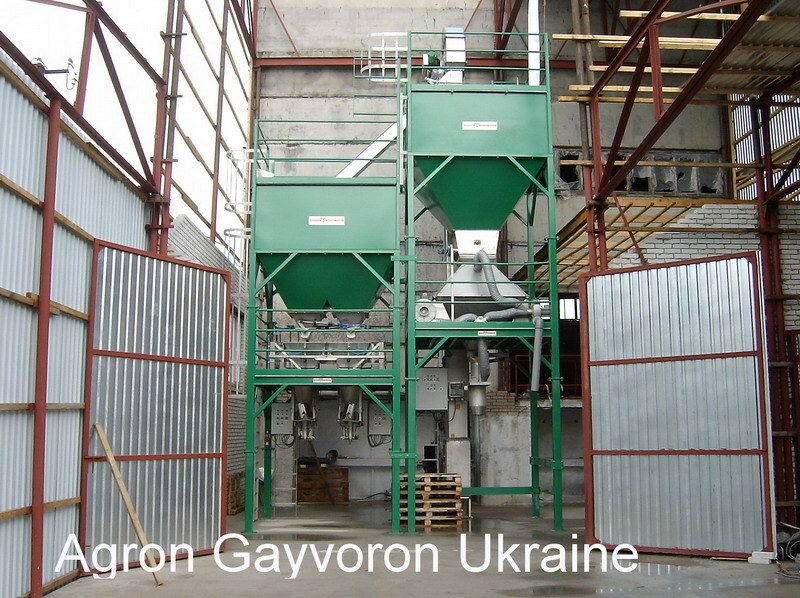 The capacity for the small bags is 15 ton per hour. 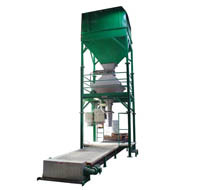 When the small bag filling mouth has been installed, the working principle is as following. The bag vertically hangs on the filling mouth of the installation. The bag is open at the upper side. The operator pinches the bag around the filling mouth. As soon as the bag has been filled, the clamps automatically release the bag and it falls on the conveyor. The bags are standing on this conveyor takes. The complete unit is made of stainless steel elements. The capacity is depending on the operator quality. Big bags: 120 bags of 600 kg. is 70 ton per hour. 70 bags of 1000 kg. is 70 ton per hour. Small bags: 300 bags of 50 kg. is 15 ton per hour. 360 bags of 25 kg. is 9 ton per hour.